The Scout's Oil Rubbed Bronze Antique Spyglass Telescope 7” with Rosewood Box is a great gift for the young nautical explorer in your life. 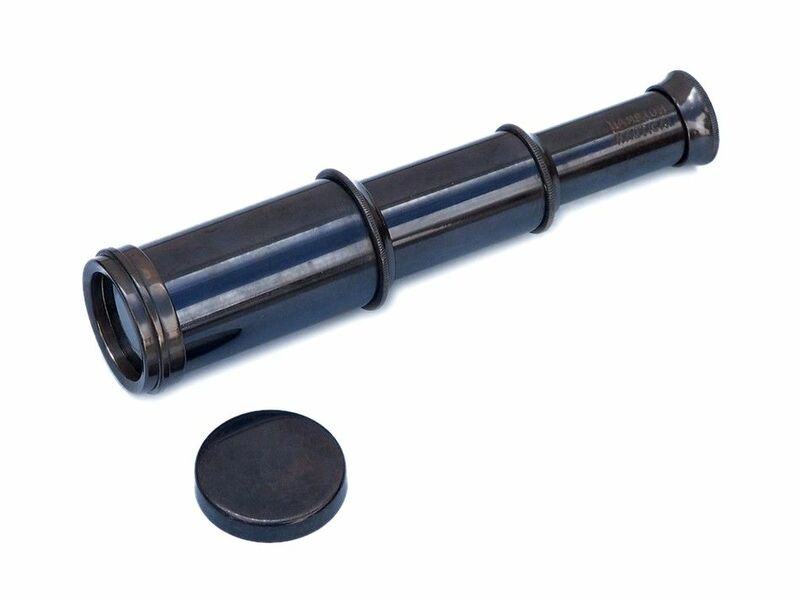 This small oil rubbed bronze spyglass is pocket sized, at 3.5" when collapsed and 7" when fully expanded. The handle of this spyglass is a darked antiqued hue and comes with an oil rubbed bronze cap to protect the lens. Simply adjust telescope length from lens to eyepiece to bring the image into clear focus.